Complications From PRK: What Are They and How Common Are They? Home » Guide to PRK Lasik Surgery » Complications From PRK: What Are They and How Common Are They? If you have a refractive error like astigmatism, myopia, presbyopia, or hyperopia, and you are tired of glasses and contact lenses, you may look into laser-assisted surgeries like photorefractive keratectomy (PRK). (Learn more) This operation was developed before LASIK, and it works in much the same way to improve vision. Overwhelmingly, even serious complications can be treated with eye drops, long-term care, or a second surgery. (Learn more) Your visual acuity is very likely to be restored, especially if you work with an eye surgeon who has high ratings, extensive training, and high-quality equipment. Astigmatism (a defect in the eye or lens). Presbyopia (farsightedness due to aging). Although LASIK is one of the most famous, fastest, and successful procedures to correct refractive errors, PRK is another great option for many people. It was one of the first laser-assisted procedures, approved by the Food and Drug Administration (FDA) just before LASIK. There are many similarities between PRK and LASIK, including success rates and complications. Although PRK is an outpatient surgery, taking about 5 to 15 minutes per eye to complete, with only a few days to a few weeks of recovery time, there are potential side effects from this procedure. Before you make a decision to get surgery to correct your vision problems, it is important to know about the risks associated with the procedure. If you are looking at PRK as the method to correction refractive errors, you should be informed by your ophthalmologist about all the potential risks, but you can also go in with informed questions. Generally, PRK has some advantages over LASIK. Because there is no flap to heal, there is less scarring and faster healing of the corneal nerves, which can minimize dryness in the eyes after the surgery. People who have unusually shaped corneas recover faster after PRK. If there is an infection or eye trauma after PRK, there is no corneal flap to dislodge. PRK does have some significant disadvantages over LASIK. Recovery from PRK takes 7 to 10 days, significantly longer than after LASIK. This means you will need to take time off work, which can be complicated. Overcorrections and undercorrections are as common in PRK as they are in LASIK, so you will not avoid these issues by choosing one procedure over the other. There is a higher risk of developing a haze over the cornea, requiring prescription cortisone drops for four months after PRK surgery. There are side effects associated with undergoing PRK. These may occur for up to six months after the procedure, but they typically go away. It is very rare for side effects to become permanent, but it has happened for a small number of patients. Otherwise, most people who experience side effects are not greatly impacted. Although they can be irritating, the symptoms will eventually go away on their own. Glare or halos around lights, especially at night. Scarring on the cornea, leading to haziness. Undercorrections, overcorrections, or induced astigmatism.There may be inadequate central focusing after the lens is reshaped with lasers. Most surgeons aim for undercorrections at worst because these can be fixed months later with an enhancement. Overcorrections are more complicated and can lead to more eye strain, but they are manageable with treatment. Induced astigmatism is also treatable, but you may experience eye strain while the eye heals after the first procedure.Typically, these issues arise due to surgeon miscalculations when programming the lasers, an inadequate surgical plan, or problems focusing the laser during the surgery, which could be either a surgeon error or a device error. People who are younger, whose eyes are still changing rapidly, or who undergo a high level of correction may experience this problem about six months after they undergo PRK. Topical steroids may temporarily halt regressions, and an enhancement procedure within a year or two may help keep vision clear, but ultimately, this complication cannot be stopped if it develops. While it is not ideal for someone to suffer a regression in visual acuity in a year or less after PRK, it is not a severe complication, and it does not indicate that the surgeon or laser device made errors. Reticular stromal haze.This pattern may develop after surgery on the anterior (front) stroma, and it is unclear why the layers on the eye develop haze, making it tough to predict and stop. It rarely affects visual acuity after PRK, however, so it is only a serious complication if it leads to visual impairment. Some studies have associated stromal haze with taking nonsteroidal anti-inflammatory drugs (NSAIDS) like ibuprofen or acetaminophen after surgery. Increased intraocular pressure (IOP).This is typically associated with use of steroids after the operation. If the person uses steroids to manage other surgical issues, IOP usually returns to normal when they stop taking the steroids. There are no reports of persistent or chronic IOP associated with PRK unless steroids were involved. Posterior capsular cataracts.One of the more common complications after laser-assisted surgeries, including PRK, this type of cataract develops on the underside of the lens capsule. In people who undergo PRK, is it most often associated with using dexamethasone phosphate after the operation. If you follow your surgeon’s instructions, you are at very low risk of getting an infection after PRK. However, because the cornea has been impacted and there are open areas, you are at a small risk of contracting an infection in your eye. This increases if you scratch or rub your eye, or fail to use eye drops as prescribed. This can delay healing, but it is very treatable if you do develop an infection. Central islands.This is a complication associated with several parts of the PRK operation, including focus of the laser, degradation of the laser optics with use, and acoustic shock waves, among others. Typically, the formation of these visual problems occurs due to several parts of the surgery going awry, but it is very unlikely to occur. Corneal melting or perforation.People who have connective tissue diseases are more likely to develop this condition, although it is still rare. A penetrating keratoplasty can restore vision in the cases that this does occur. These can be treated and typically go away on their own or with a second surgery. As with other eye surgeries, there are serious problems associated with PRK, including worse vision than before the surgery due to errors and blindness. Unstable refractive errors, so their vision will continue to change anyway. Skin or eye diseases that would impact healing. Other chronic illnesses that hinder healing rate, like diabetes. A history of scarring or easily developing infections. It is also important to manage expectations after PRK. While this procedure does wonders to improve vision, many people do not get 20/20 vision after this procedure. Nine out of 10 people who undergo PRK get 20/40 vision or better, so you may still need some corrective wear — either glasses or contact lenses — after you have the procedure. PRK will not correct presbyopia, as the progression of farsightedness caused by age will progress too fast. Other laser-assisted procedures may temporarily improve presbyopia, but PRK is not a good option. 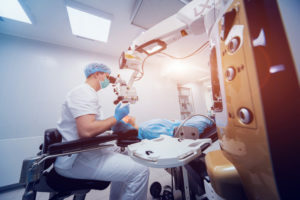 While there are some serious risks to visual acuity associated with any operation on the eye, including PRK, it is important to know that the risk of developing any of these issues, from uncomfortable side effects to long-term changes to the eye requiring a second surgery to blindness, is very low. Working with highly rated ophthalmologists and surgeons can reduce your risk considerably. 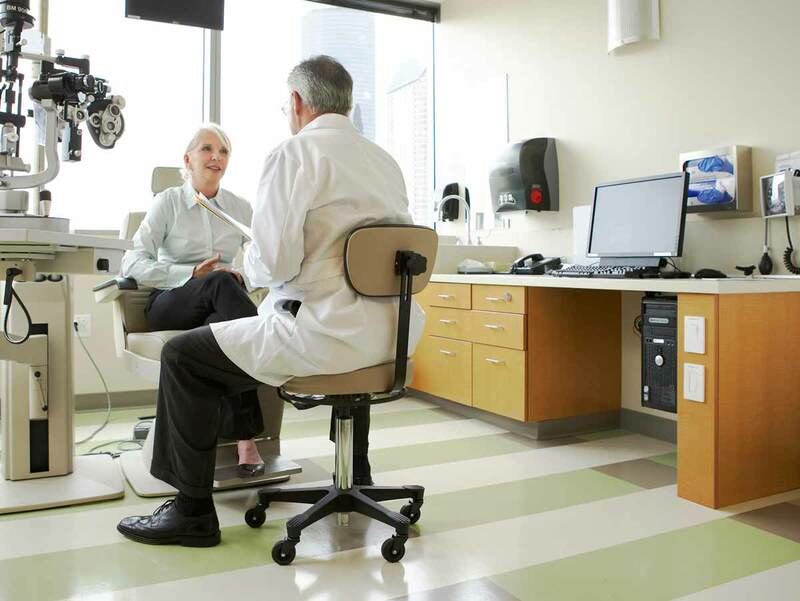 An optometrist and ophthalmologist who know how to screen you for any risk, including asking appropriate questions about your general physical health history, will help to prevent some of these problems from occurring. Following your surgeon’s instructions after the operation will also help to greatly reduce your risk of side effects and vision problems. Going to all of your follow-up exams and reporting any side effects or vision changes in the days that follow the procedure will help you get the treatment you need if problems do arise, so you will not suffer on a long-term basis. Working with well-trained, highly experienced surgeons who know how to use lasers and other tools for PRK and related surgeries is the best approach to getting improved, clear vision. Photorefractive Keratectomy. (November 28, 2017). EyeWiki, American Association of Ophthalmology (AAO). Facts About Refractive Errors. (October 2010). National Eye Institute (NEI). What Is Photorefractive Keratectomy? (September 27, 2017). American Association of Ophthalmology (AAO). Photorefractive Keratectomy (PRK) for Myopia Correction Treatment & Management. (April 7, 2017). Medscape.